Indie-Pixel Walks Through Houdini Game Tools’ MapBox Node for Landscape and Level Design. As part of Houdini’s game tools, the MapBox node is a new one that is still under beta. Mapbox is a powerful tool that lets you create landscapes and level design terrains. How does it all work? Check out this tutorial from Indie-Pixel that shows how to work with the new MapBox node in Houdini 17. The tutorial shows how to extract data, and how to get started with the terrain node and its API. 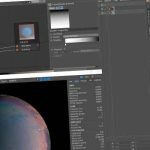 Houdini’s Game Development Toolset is a collection of high-level tools that can speed up game development workflows in Side FX Houdini. There are over 30 tools that range from UVing to generating Motion Vectors from simulations. The Game Tools are not part of the regular development cycle for Houdini but instead issued when they are complete.